SIMS, Ill. -- A handful of volunteers are distributing water to an estimated 315 residents, who have been out of water for two days following a main water break in Sims. One of those volunteers is village board member, Lois Moyer. Moyer says she and a handful of others have been working hours on end to help locals, "We're trying to give all the people what they need. Gallons for the hygiene and the bottles just for water to drink." Moyer says they began distributing water Tuesday, with volunteers giving priority to about two dozen residents, "We got a lot that can't drive, are too old, or are handicapped. So we've been trying to make sure that we get the water." Mayor Dava Austin says the village discovered the water main break Monday at 1 p.m. and two hours later the city's water tower was completely empty. Crews located the main water break underneath Skillet Fork River but the cause is unknown. Austin says the heavy rain over the weekend may have played a role, "Our line has been there for 40 years, so they just kind of assume that it was washed out and something come through and cut our line and broke it." Currently, the village is waiting on EPA approval and permits for workers to repair the leak. In the meantime, Austin says she's thankful for local water donations as the Red Cross is unable to help at this time, "We are waiting because of the hurricane that takes priority, and we all totally understand that." 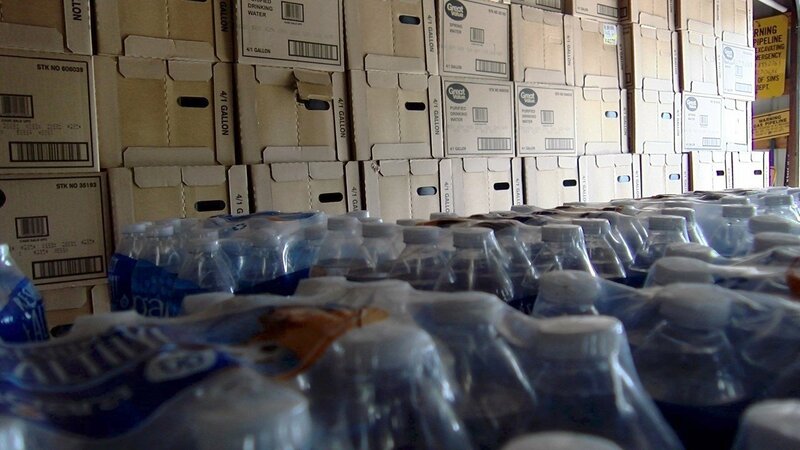 The community is unsure of when water will be restored and is in need of more bottles and gallons. Additional volunteers are also needed to give relief to those who have been helping out almost around the clock. Those who want to volunteer or donate water can contact Sims Town Hall at (618) 895-2761 or drop off water there. You can also drop water off at the Fairfield Fire Department.